Feed-in tariffs only pay for power produced, which depends on the weather – and no one can guarantee that. So while the foreign press repeatedly speaks of guaranteed profits from feed-in tariffs, Craig Morris says German investors in wind and solar power have a different story to tell. Western Europe including northern Germany covered in clouds: Weather patterns affect renewable energy production – even yearly averages don’t entirely level out. (Photo by NASA). In my last blog post, I mentioned how German newsweekly Der Spiegel misleadingly spoke of returns “promised” to investors in wind power. Germany bases its feed-in tariffs for wind power on a “reference turbine,” meaning the amount of power a properly working turbine can be expected to generate at a given site. This reference has caused quite some concern over the past decade. As Spiegel itself reported in 2001, wind power provided a return of 8.1 percent nationwide on average in 2000, but the wind has died down a bit since, leading to criticism about the “reference turbine.” The general mood a few years ago was that the original calculation must have been made based on a few years that turned out to be windier than the average. The reference turbine continues to be revised. 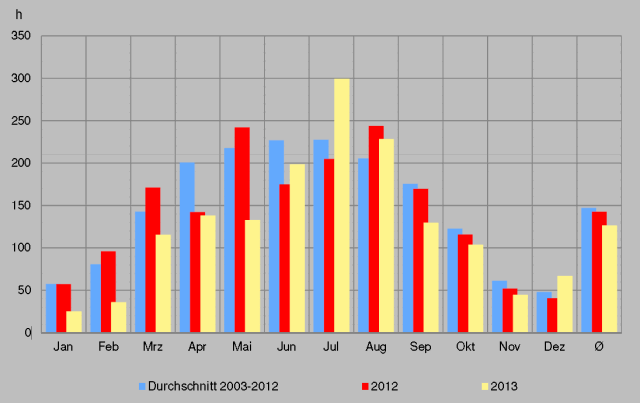 A recent paper published by German wind power association BWE (PDF in German) found that a comparison across five sites showed a decrease in wind velocities between 2008 and 2013 in each case, with the average drop coming in at 6.1 percent – enough to wipe out profits entirely (see chart below). 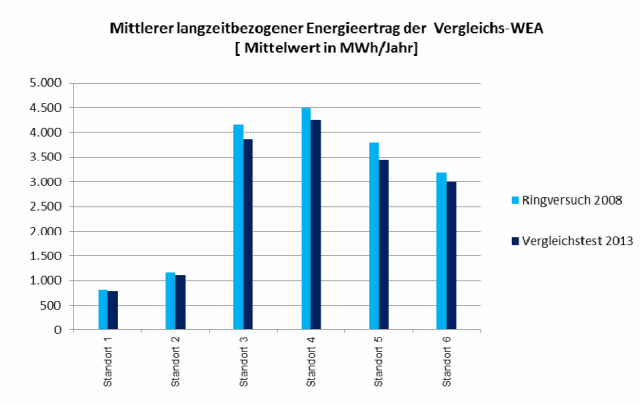 Two other charts recently published by the BDEW (German Association of Energy and Water Industries) show what the effect can be. The first one shows wind velocities by month, with the average given in the bars on the far right. The blue bars represent the average from 2003-2012. As we see, 2012 was slightly better than the average over the past decade, but 2013 was slightly worse. The intensity of sunlight changed even more dramatically. The average over the past decade was higher than in 2012, and the levels in 2013 were dramatically lower. 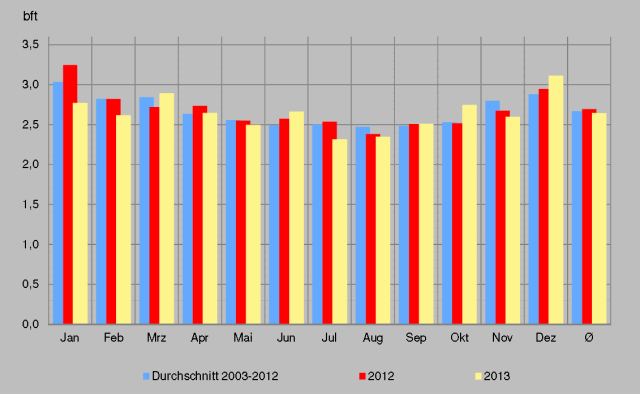 In the first five months of the year, Germany was far more cloudy than usual. These are just the risks from changing weather conditions. The list of other risks is endless: for PV, we could include defective products, improper installation, unexpected shading (possibly from new buildings), and theft. While Germany’s installed PV capacity grew in 2013 by around 10 percent, the amount of solar power generated only went up by around six percent. And while installed wind capacity grew by around eight percent, wind power production actually fell by 0.1 percent. Previous PostAre the Western Balkans the new Desertec?